Should You Join the Merchant Navy After Class 12th in India? Many reasons attract youngsters towards the Merchant Navy. The temptation of sailing on the high seas, the opportunity to travel across the globe and high remunerations are some good reasons why Merchant Navy is one of the best job oriented courses conducted at a professional naval maritime academy. No doubt the shipping industry is booming. Shipping sector plays a very significant role when it comes to transporting of goods from one destination to another. Even people are transported to their desired location. Also, there are several international businesses that depend on the shipping industry in some way or the other. And this industry expresses its need to well qualified and highly trained personnel for functioning in a smooth way. What is the Merchant Navy Eligibility?  You should have finished class 12 with PCM (Physics, Chemistry and Mathematics).  You have to be an unmarried citizen of India (male or female).  You need to have normal vision. However, you can wear glasses up to plus or minus 2.5.  You can get through merchant navy through an entrance test followed by a screening test and then the main written exam.  After you’ve cleared the test, you will have to take a medical test and give an interview.  Prior to getting employed, you need to complete a ship-training course. The merchant navy seems to be one of the most promising lines of work. The pride and maturity that come with shouldering responsibility of operating a ship worth millions cannot be expressed in mere words. Merchant navy offers a plethora of advantages to all of those who learn about and understand the importance of living a fabulous life in this profession. 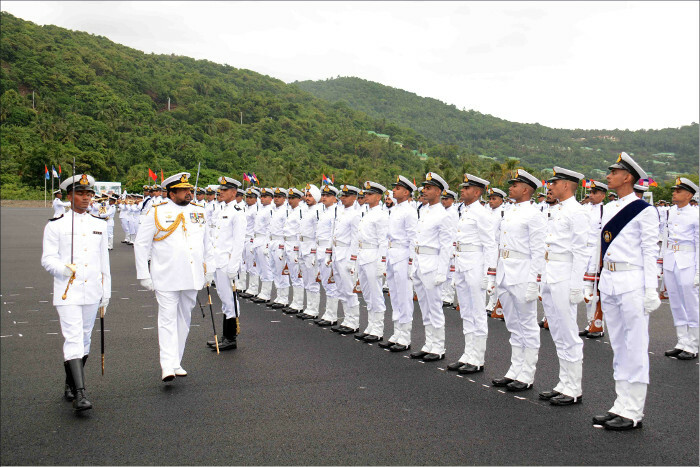 Completing 12th with PCM is the basic Merchant navy eligibility. The prospect of touring the whole world, making money that seems a lot better compared to other professions, wearing a uniform that makes you feel great and calling yourself an officer – all these things are not easy to get, but when you achieve all these through your hard work and efforts, you don’t need to look for any other reason to brag about.